Self: "I should really start that book I've been talking about for six months." Self, in response: "Yeah, but I just don't feel it yet." A two-hour phone call with an old friend gives me the kick in the pants needed to begin writing. She said, "Rita, just start." And so I do. A new roof, lots of rain, and a budding spring. Ahh . . . my favorite time of year. While inside, I'm writing like there is no tomorrow. Oh, April. Overcome with a fever for writing at every waking moment not spent at work, I lose a lot of sleep to the page and barely know what season it is. The work has taken on a life of its own. Writing excerpt, recalling my father's last days: "I don’t know what happened when Dad tried to write notes to us. I don’t understand why my mother didn't offer to take down his words for him, rather than just taking his pen away. I wasn't there. I don’t know if his words would have changed anything in my life or have told me anything I didn't already know. Though we never said the words, I know he loved me. I know he taught me everything I needed to know in the 22 short years I knew him. I know he wanted me to be happy. I know he tried to write a note to me in his last days. I know that. I know all this and I realize I am fortunate. I had a great Dad, and not everyone gets to say that. I know in his last moments, he was thinking of his family and his children and me. And that is enough." For me, I find it at a Wisconsin lake, without fail. Internet sensation John Unger and his dog Schoep touched hearts a year ago when a photo of the two floating in Lake Superior was taken by Bayfield, Wisconsin photographer, Hannah Stonehouse Hudson. The story of love and devotion captured the hearts of the world and had hundreds of thousand of people following a newly formed Facebook page to follow the life and adventures of John and his aged dog Schoep. "Last month, Schoep celebrated his 20th birthday with all the fanfare of a celebrity, receiving hundreds of thousands of well-wishes by mail and on the internet. In the last week, John posted photos of once again floating with Schoep in the waters of Lake Superior, like the photo that had gained him such attention. Last year, John thought it would be the last time he could swim with his buddy, but through the generosity of so many and the love of the world, Schoep made it another year -- long enough for one more swim. Tuesday, John posted a photo of Schoep dozing off on a patch of grass, surrounded by flowers. He went on to say that they had had a wonderful day, with lots of walks and adventures, and lots of energy coming from his buddy, Schoep. And then it was gone. Wednesday, Schoep passed away peacefully, after giving his friend and papa, John, one last great day for the memory books. I, like so many others, have been touched and attached to this story for a year, so much so, that it feels like I have lost a furr-friend. I know too well the feeling that John is experiencing right now and I have prayed for him to have comfort. But through all of this, I can look at the photo of John and Schoep in the waters of Lake Superior -- the one that started it all -- as it hangs on the wall of my study and know THAT is what is all about: Love. Whether two-legged or four-legged, family or friend, human or pet, the most important thing is to love. Love something. Love someone. And do it completely." "Some of the most creative souls are just as equally misunderstood. It is both our fortune and our curse. Yet in the quiet stillness that inevitably follows our unraveling, the realization comes that though the masses may not understand the Rube Goldberg workings of our minds and our hearts, the right people will – the ones that resonate with us, humming in familiar unison like a tuning fork. It is in those moments, in the company of those we have granted entrance to our inner circle, where we find perfect harmony, a song the masses are unable to hear. But what a song it is." Writing is my breath such that it creates me as I create it. Decision! 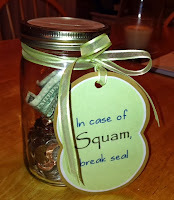 I plan to attend Squam Art Workshops in New Hampshire in 2015. The year ended with a surprise. One year before, I would have never guessed where the year would have led, and I am in awe of the wonderful path I have found, filled with energy, inspiration, creativity, and lovely new friendships. How one act can lead to another and in its path reveal such magic is beyond what this mind can imagine, but the universe called me to take each step. The online writing course I began in September, introduced me to a dear creative soul who mentioned the Squam Art Workshops. From there, I joined an online class for random weaving (yes, like baskets). 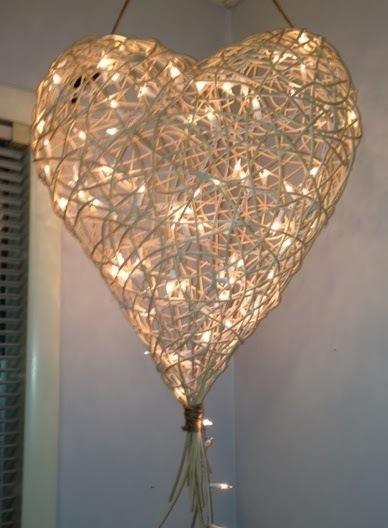 The simple act of weaving brought answers to my soul, as revealed in the letter I wrote to the teacher and the facilitator after completing my project. The ripple effect was felt and shared in a blog post by a dear friend, and my heart was overflowing with immeasurable gratitude and pure joy. What began as an ordinary year became so beautiful that no words exist to describe it. The recount of your year is beautiful. 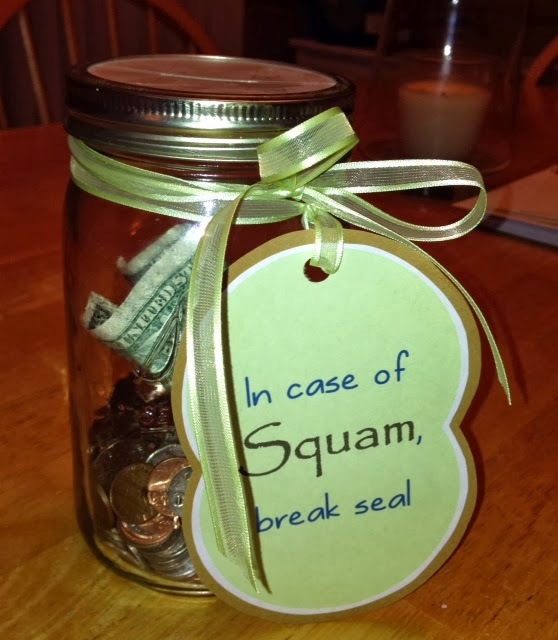 Your jar for your squam savings is fantastic. You will love it there! Keep on spilling those words onto the page. The world needs to hear what you have to say. Such a great idea. It's fascinating to hear all the positives in your life throughout one year. Step by step you are building your dreams, in reality that is the way wonderful things happen, little by little.